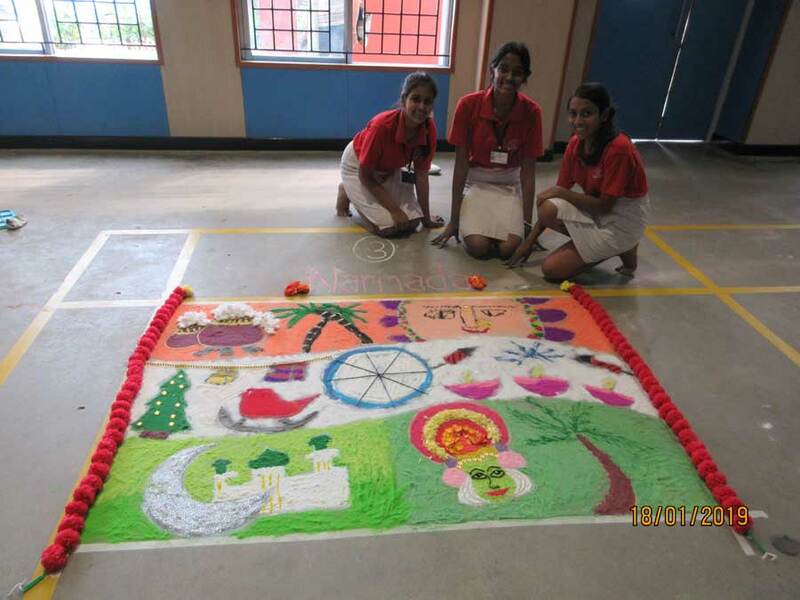 The Inter House Rangoli Competition was held on the 18th of January 2019. 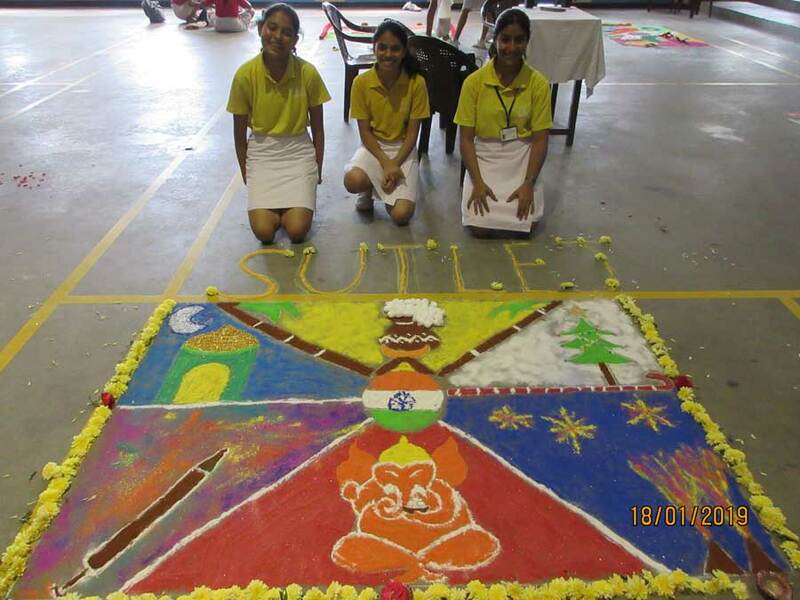 The theme for this year’s competition was the ‘Festivals of India’. 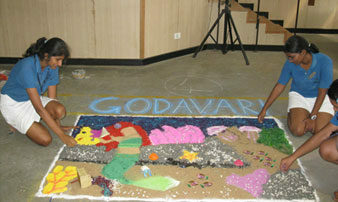 The judge for the event was Mrs. Sujatha Ravi. 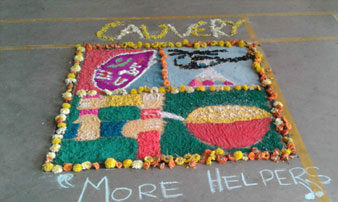 Cauvery’s rangoli, ‘Greatness of Indian culture is found in its festivals’ depicted a map of India in the centre and it also contained images of Pongal, Diwali, Janmashtami and the Kite festival. 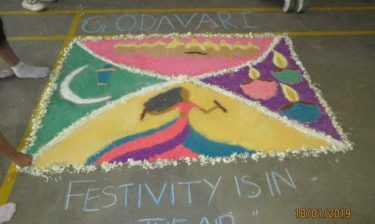 Godavari depicted, ‘Festivity is in the Air’ in their rangoli and showcased Ramzan, the Dasara Festival, Navrathri, Dhandia and Diwali. 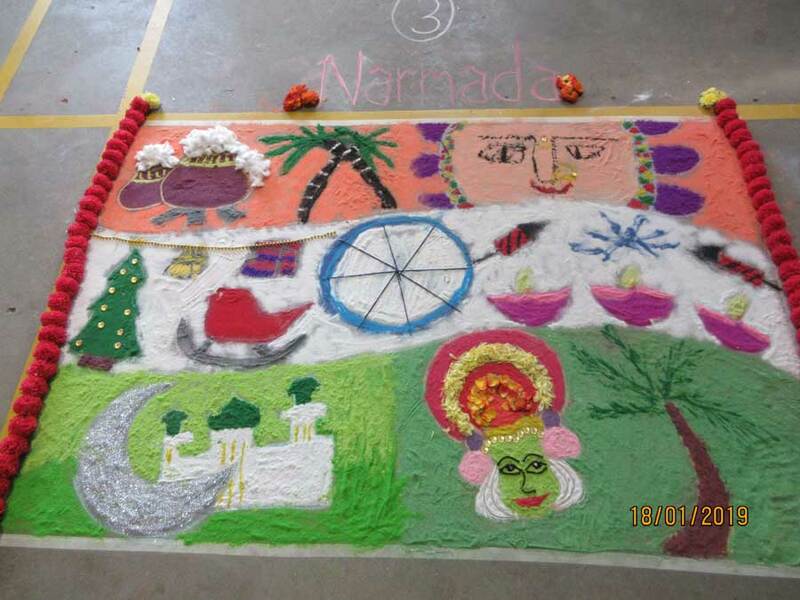 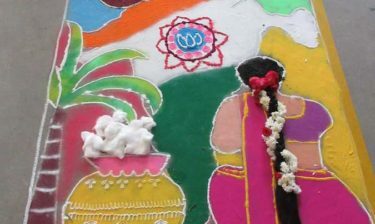 Narmada’s rangoli was titled, ‘Celebration in diversity’. 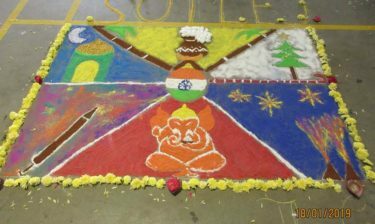 Their rangoli contained images celebrating Onam, Pongal, Durga Pooja, Christmas, Ramzan and Diwali. 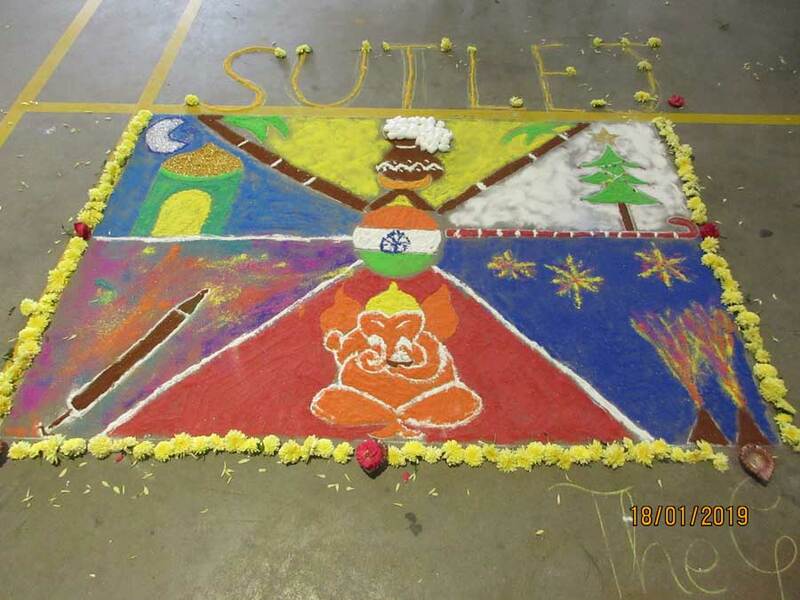 ‘The greatness of our culture is found in our Festivals’ – this was the caption of the rangoli made by Sutlej and it portrayed the festivals of Ganesh Chaturthi, Pongal, Christmas and Diwali. 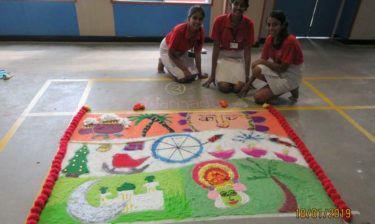 The Inter House Rangoli Competition was held on the 19th of January 2018. 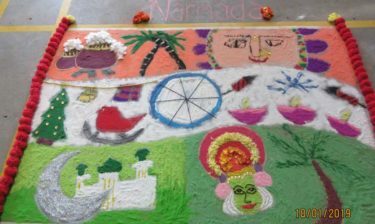 The theme for this year’s competition was ‘World of Flowers’ and the judge for the event was Mrs. Jayashree Chinne Narayanan. 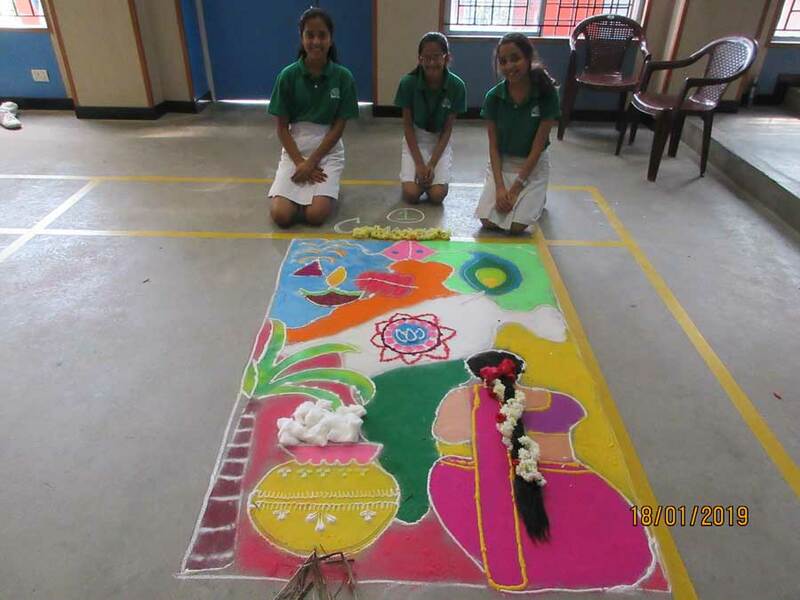 The Inter House Rangoli Competition was held on the 12thof February 2016. 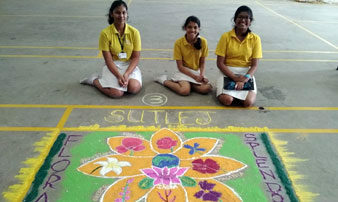 The theme for this year’s competition was the ‘Spirit of Chennai’. 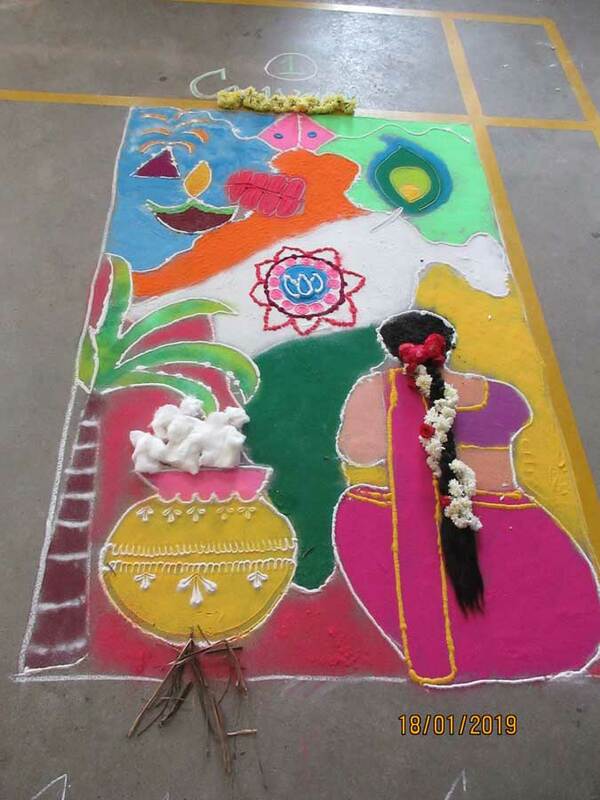 The judge for the event was Mrs. Lalitha Lakshman. 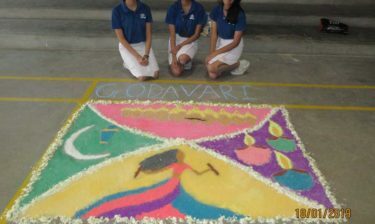 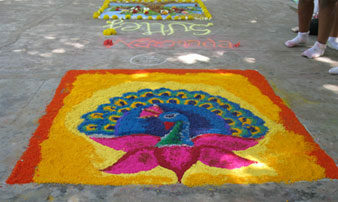 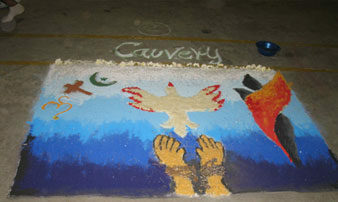 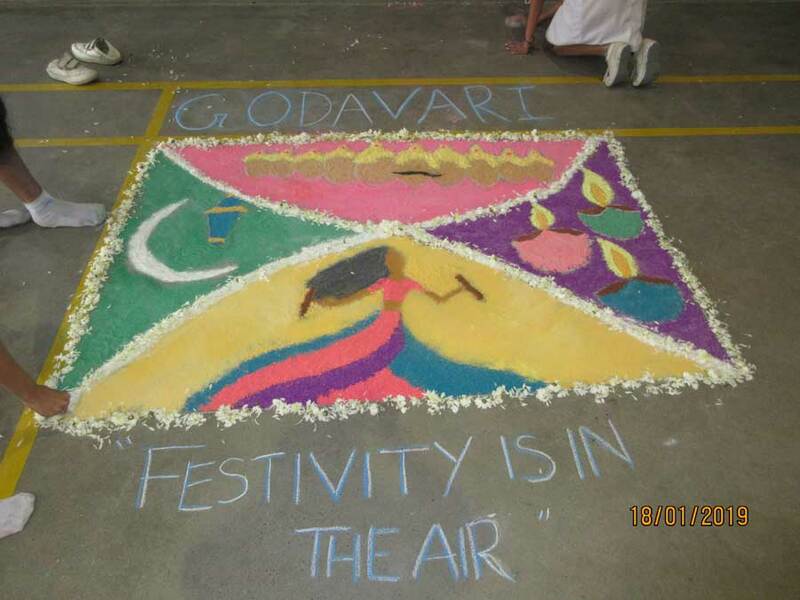 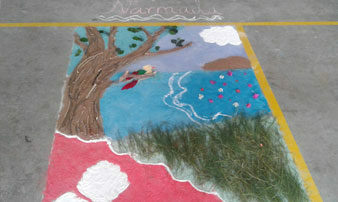 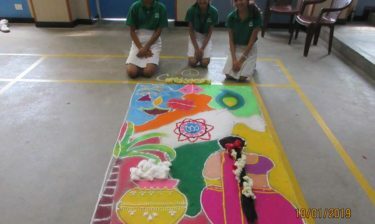 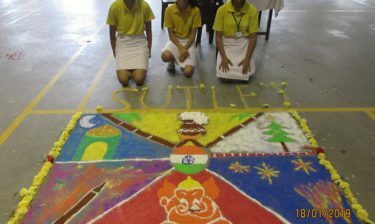 The Inter House Rangoli Competition was held on the 24th of February 2012. 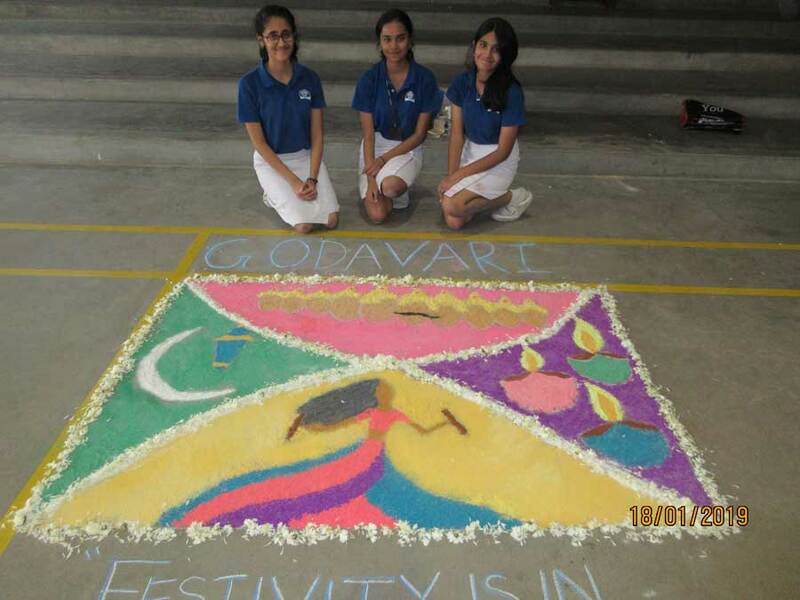 The theme this year was ‘Celebrations’. 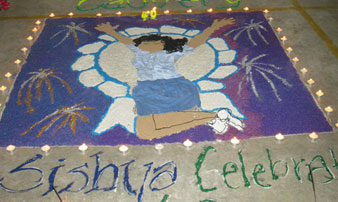 The judge for the event was Mrs. Sridevi Umesh.